Kuantan (Malaysia) : India on Sunday marked a thrilling victory over their arch rivals and defending champions Pakistan in the preliminary league match of fourth Asian Champions Trophy hockey being played in Malaysia. Men in blue chose to stick with their strong defence against Pakistan to stay in control during the encounter at the Kuantan Hockey Stadium. 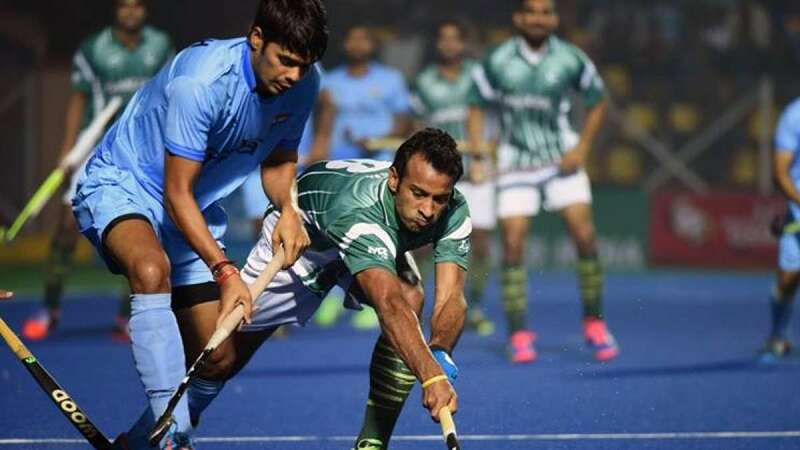 India scored its first goal in the 11 minute of the game, but Pakistan make a stunning comeback and slammed two goals in the 31st minute and in the 39th. Rupinder Pal Singh converted India’s only penalty corner in the 43rd minute and Ramandeep Singh came into goal-scoring action the following minute by deflecting in a diagonal cross from Talwinder Singh. With this win, India now has seven points to lead the table win its three outings. India had outplayed Japan 10-2 in their first outing, but were held to a 1-1 draw by South Korea on Saturday. Four teams on top of the table will move forward for the semi-finals of the championship.